In may, I had the wonderful opportunity to visit the beautiful Danish islands of Zealand, MÃ¸n, Falster and Lolland. It was a great occasion, and it was good for me to experience some of the many amazing highlights these regions have to offer. For some time this area of Denmark has been high on my bucket list, and after this great visit, I can now tick this one of off my bucket list. 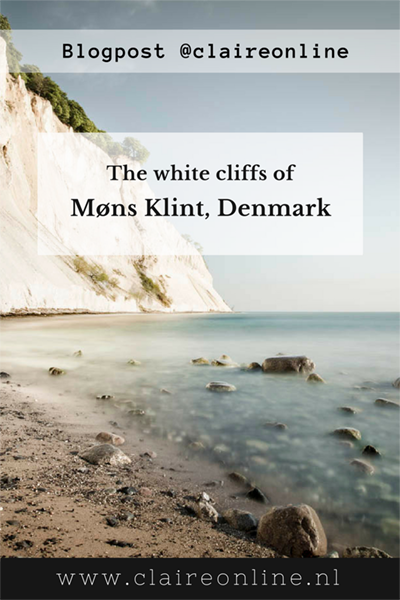 The fantastic white chalk cliffs of MÃ¸ns Klint in the south-Sealand are most certainly one of Denmark's great natural wonders, and to see this natural wonder at first hand, was as captivating as I thought it would be. Read on to find out more about what I thought of this great area. From my starting point of Copenhagen, it is only a two-hour drive, scenic drive, to reach my destination. I eventually stayed close by, and this allowed me the opportunity to visit this stunning location early in the morning when there was no one visiting, and Silence ensued. The cliffs are stunning, spectacular in fact and they have prominent position facing directly out to the Baltic Sea. During my visit, the sun had just risen, so I decided to head over to see the cliffs in the pretty morning light. The light was superb, and it enabled me to capture the cliffs as I wanted to. It thought it was awe-inspiring, but can you imagine how beautiful this place must be in the autumn months when the low light of the red sunbeams of sunrise begin to strike against those amazing steep cliffs. 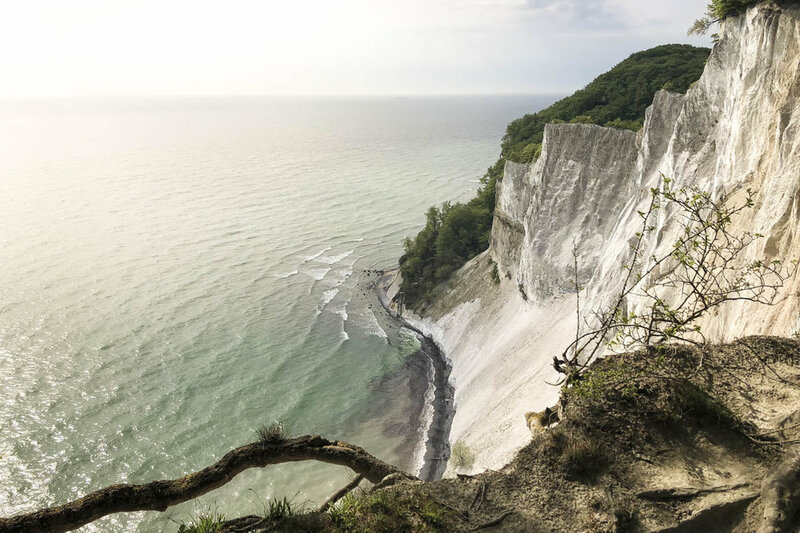 The eye-catching MÃ¸ns Klint also offers any visitor the chance to experience the phenomenon 'Dark Sky', which is a result of shallow light and energy pollution from the area. This means you can witness a fantastic view of the stars and also the Milky Way. Allowing this unique place to be not only a great place to visit, but also a photographers dream! 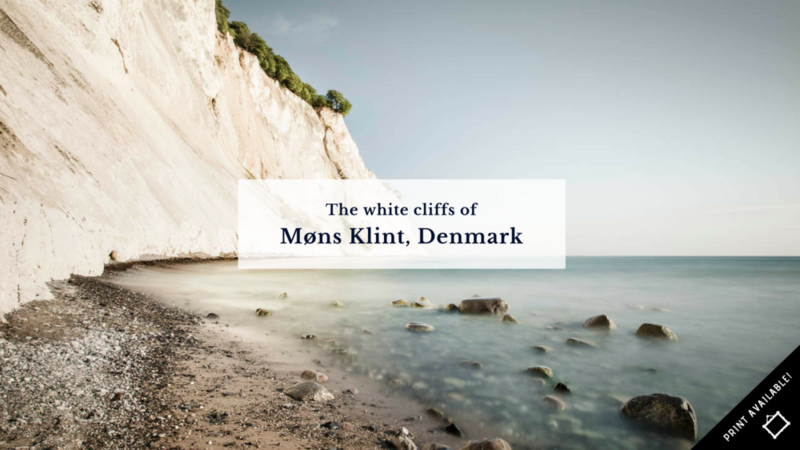 When first arriving at MÃ¸ns Klint, you enter the MÃ¸ns Klint GeoCenter which is situated on the peak of the cliffs tops. 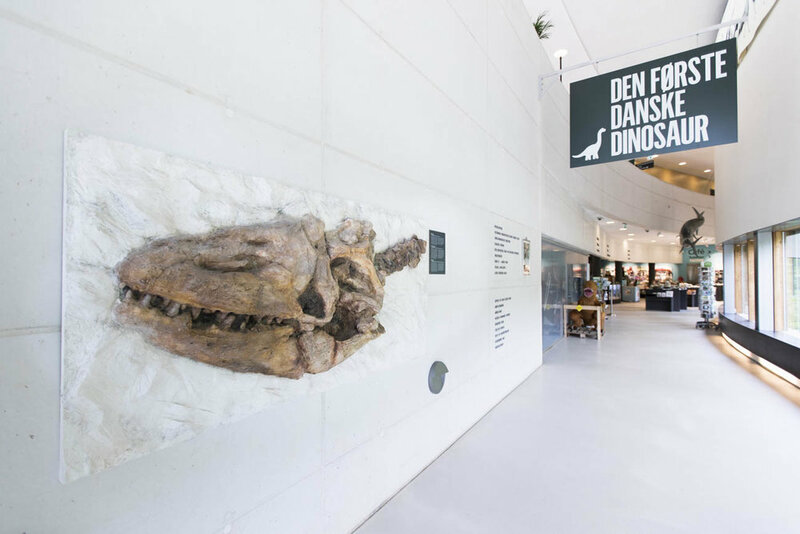 Here, at the visitor's centre, you can learn all about Denmark's past with many fun and interactive exhibitions, containing Dinosaurs, cave climbing and a variety of workshops that focus on activities that highlight more information about the cliff. It makes a great experience for the whole family to enjoy. From the very top, there are 497 steps on a wooden boardwalk which will lead you through the fairytale forest, where eventually, you will reach the bottom of the cliff. The stairs are easily accessible and perfectly safe for children to use as well. Thankfully, I was prepared for the walk and carried plenty of water, snacks, suitable shoes and made sure my photography bag wasnâ€™t packed too heavily. When on the stairs, you can already hear the sound of the sea and witness the power of the sea, as the waves crash against the shore. It is quite a spectacle and experience, as the sounds get louder once you encounter the last few steps. At the end of the staircase the forest begins to open up. With that, the view is just breathtaking, and the steepness becomes very apparent. As you look back, the cliffs begin to rise over 120 metres high above the clear, turquoise blue waters of the Baltic Sea. The cliffs are over 120 metres high, rising above the clear, turquoise blue waters of the Baltic Sea. What a stunning sight! It is bizarre to think, that the chalk forming these cliffs consists of the remains of shells, from millions of microscopic creatures, which lived on the seabed over 70 million years ago. At the end of the last Ice Age, when the ice melted around 11,000 years ago, the cliffs emerged. Today, it is possible to enjoy this vast area, stroll across the beach below and find a wide variety of fossils from various types of shellfish. How long would these stones been lying here? I found myself many different shapes and sizes of chalk stones, but being busy taking photographs, I unfortunately, didn't have a great deal of time to see any remains of fossils carefully. I guess, on my next visit I would have to set time aside to look and find them. During low tide, you can walk all the way around the foot of the cliffs, which must be a great thing to do. On this particular occasion, the water was quite rough, and looked quite high. So I didnâ€™t want to go as far, as I didnâ€™t know if the tide would rise any higher. But I enjoy beach combing, so this is something I will do one day when the sea is quiet. After experiencing this beautiful nature for a few hours, it was time to head back up the stairs and see the cliffs from a different vantage point, so I began to climb the 497 steps back up again. I anticipated on the hardest climb ever, but it wasnâ€™t too bad. Once you walk, take your time. Rest and look back occasionally, to take in the stunning views. It is, in fact, a very nice climb. You can experience many sounds of birds and combined with the roaring sea; it makes you feel like you are in the middle of nature, which is so relaxing. Once at the top, I decided to climb even higher to explore the path that winds its way along the cliff top. There is another wooden boardwalk, with a reasonable number of stairs, where you will find yourself treated with the best views ever. It was stunning. Even if you walk further down the path, it seems to get better with every step. You feel as tiny as can be, especially when looking down. Combined with the way through the beautiful forest, it is merely a magical walk. During springtime, you can see many different flowers blooming once more. After walking a few miles more, it was time for me to turn back once again and to head to my next highlight, since I wanted to make the most of my time and to see as much as possible. The views on top were meshmerizing. Carefulness needed on the edge! It is, for me, a place that I would love to come back to, to wander and walk all day long. After my short visit, I feel like I still havenâ€™t seen everything. And as a photographer, I defenitely would love to come back in different sorts of weather conditions. This will allow me to capture some striking images and also document how the seasons affect this beautiful area. I think this picturesque piece of nature could change quite dramatically during different weather conditions and months of the year. Evening falls and it is time to go home. Or wait just long enough to withness the dark sky and milky way? If you want to visit this region of Denmark, then please make sure you check out the website of South Zealand. It provides a wealth of information about the many different activities and sightseeings in this amazing region. I would like to thank South Zealand and VisitDenmark for providing me with all the information and making this an unforgettable visit.